When time is of the essence, craft projects and DIY need to be quick. Since Christmas is such a busy time, I came up with this collection of easy Christmas crafts to make with just a couple of steps. Get started now to get a jump on the holiday busyness. Although not everyone has a vintage typewriter laying around, this is a fantastic idea if you do! 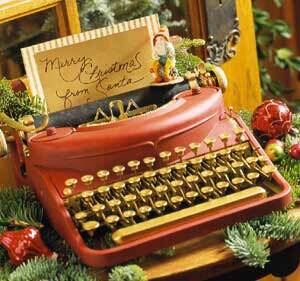 Decorating a vintage typewriter for Christmas is such a fun way to hold a note from Santa. If you are looking for an easy Christmas tree ornament, this snowflake ornament craft is perfect! However, it’s not limited to just the tree. 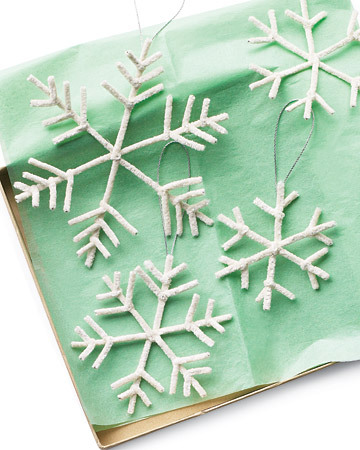 The snowflakes are also a perfect embellishment for gift wrapping. 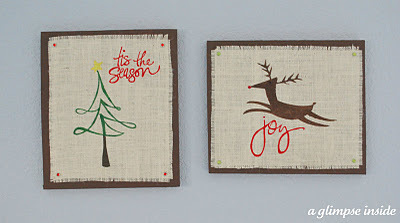 Make this Christmas wall art for yourself or to give as a gift. Waiting for the paint to dry is the most time consuming part of this craft and you can always use that time for a Christmas cookie or two! 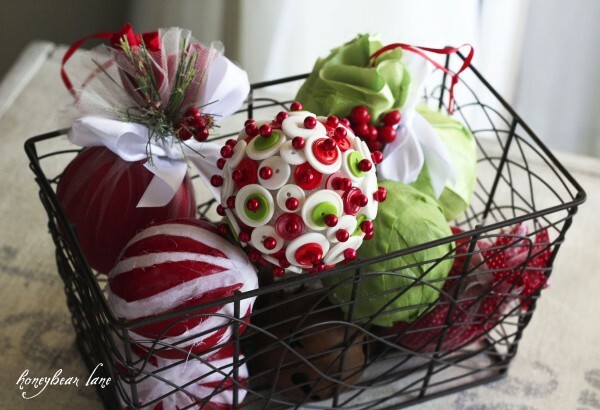 A variety of styro-foam balls decorated with scraps makes a great display in a wire basket or to hang on your tree. This faux candy craft is so easy to make and is great to use as an embellishment in other projects or on its own in a little dish. 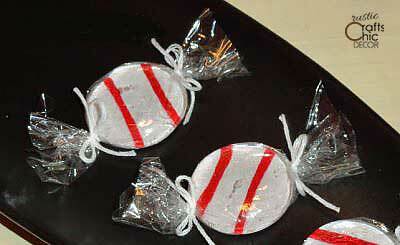 I like to use these on packages instead of a bow. 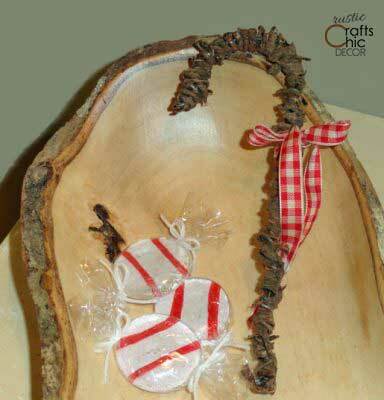 Along the same lines as the peppermint candy, is this faux rustic candy cane. 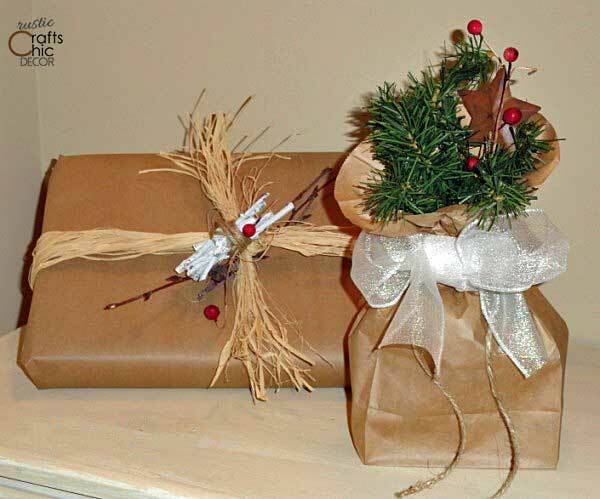 If you are in a pinch for some gift wrap, or even if you’re not, using lunch bags or kraft paper gives you a nice background to work from! 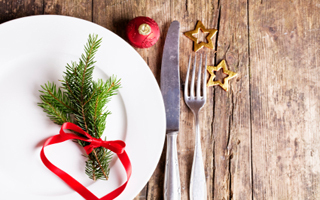 It really doesn’t take much to create a warm and rustic Christmas dining experience. Just add some evergreen clippings and simple festive embellishments to the table. 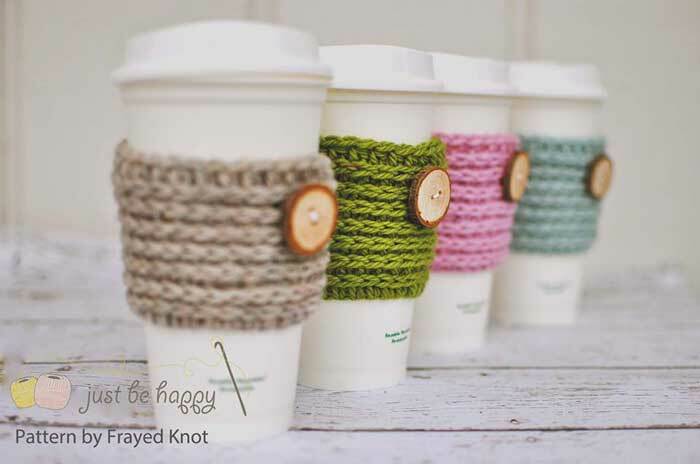 In 15 minutes or less, you can make an adorable cup cozy to give as a gift. And, of course, mason jar gifts are always popular and they are normally easy to put together. 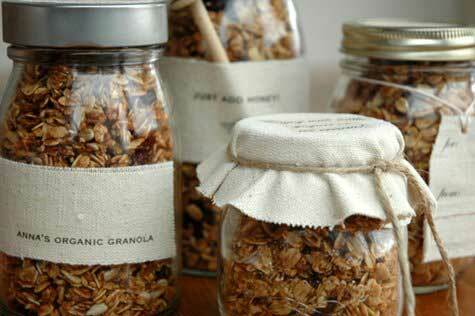 Check out all of the different gift ideas that you can put together using mason jars.